In case you missed them this week, here’s a pick of 5 interesting commentaries that appeared in The Straits Times Opinion pages. Tan Tarn How is a former journalist, who wrote successful plays, and is now with a senior research fellow at the Institute of Policy Studies. I knew him when he was with The Straits Times, and always appreciated his capacity for out-of-the-box thinking. In this Op-Ed, he pitches an idea he admits is rather “radical” - make reading a compulsory subject in school. More than that, make it an examinable subject too. Meira Chand is a novelist who came to Singapore after a lifetime of journeying across the world, and found relevance in our Little Red Dot. 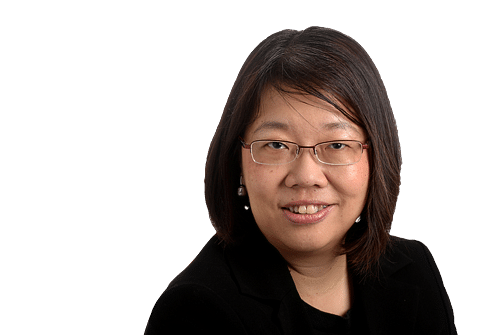 Now a Singaporean, she tells us what it’s like to be a writer - one of that breed who lives only partly in the here and now, and always wholly in the realm of the other - engaged in the all-consuming pursuit of creating an imaginary world of characters, each with their own idiosyncracies and moral agencies. 3. In an ambiguous world, can Singapore cope? Bilahari Kausikan, former permanent secretary of the Ministry of Foreign Affairs, is Singapore’s enfant terrible in diplomacy. His current position as someone no longer in active public service gives him freedom to speak truth to both power and populace. His past status as a perm sec gives him street cred to back up those hard truths. I’ve read many of his speeches, and enjoy his pithiness, and the merciless way he slices away at flabby views. His most recent speech as the IPS’ SR Nathan Fellow for the study of Singapore, takes stock of the civil service. He says the way civil servants understand, and handle, foreign policy issues need to be improved. “The idea that the civil service is or ought to be politically neutral or independent is a myth. A "politically neutral" or independent civil service is to be found nowhere on earth. This is for the simple reason that the civil service is always and everywhere the instrument of the government in power. “The civil service has a responsibility to give its political masters objective advice. But that is not the same thing as being "politically neutral". The civil service is obliged to carry out the instructions of the government, irrespective of whether those instructions are in accordance with its advice. The civil service may be non-partisan, in that it has to be agnostic as to which party is in power. But it has to be political, in aligning itself to a party once it is in power. So much of policy-making springs from political considerations anyway. No senior civil servant can claim to be unpolitical, if he or she supervises policies which spring from a heavily political agenda. If you were in charge of allocating government funds for estate upgrading in the 1990s and 2000s, for example, you would have to implement the highly political agenda of the government in power and give them only to constituencies that voted for the ruling party. In this article, my colleague Audrey Tan warns nature lovers and outdoor enthusiasts not to love nature to death. More people are enjoying outdoor and nature areas, which is a good thing. But some of their practices are dangerous to nature and wildlife. She wrote: “Last month, a wild otter pup was found with a fish hook lodged near its eye. Instead of using a barbless hook, irresponsible fishermen had used a barbed one, which national water agency PUB advises against. I recall a walk in Sungei Buloh park I took last year. I noticed how few monitor lizards there were around this time, and remarked on it to staff at the ticketing booth. His explanation was both hilarious and alarming: It was the school holiday. Many students had come to the park. They would crowd near the lizards taking selfies, and the wild creatures had been frightened away. See it from the lizards’ points of view. Used to sprawling across the path to enjoy the sun, they would have had to slither back into the dank undergrowth. It can’t be a nice feeling - being crowded out in your own home. 5. And finally, an unusual piece of prose, titled The Memory Biopsy. It’s by Justin Ker, a young neurosurgeon who is also into writing fiction. In this essay, he writes about a young doctor performing a biopsy on his mentor, weaving in reflections about memory, and space-time warps. It is an evocative, and rewarding piece to read. Justin’s piece, and the poem by Heng Siok Tian are part of the Rhyme and Reason literary series that appears on Saturday in the Opinion pages. For more poetry and essays from this series click here. Chua Mui Hoong blogs regularly on notable commentaries and issues.